Welcome to the Cloak Closet! 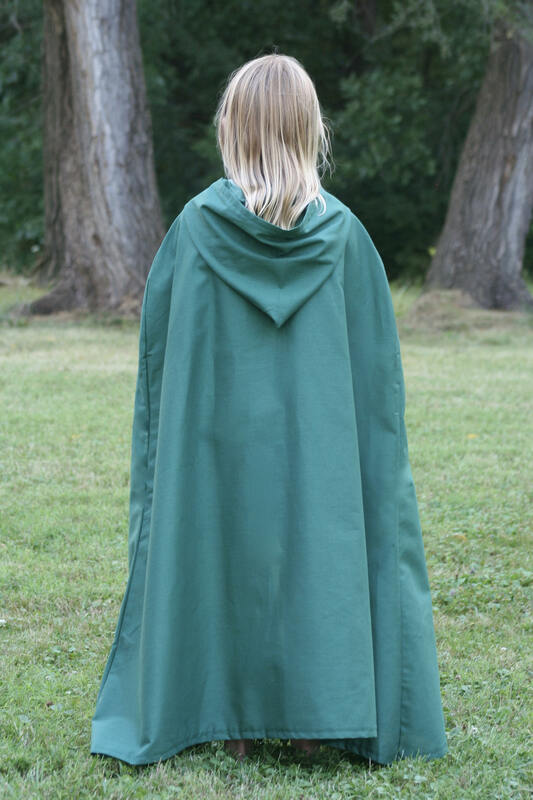 This dark green hooded cloak is made of 100% cotton and fastened together with a metal hook & eye. 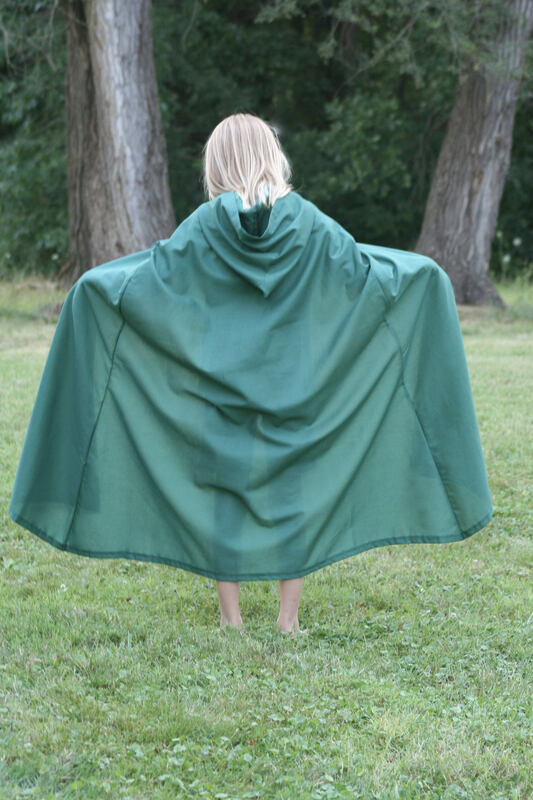 The cloak is designed to fit most youths, wearing a size YM or YL t-shirt. 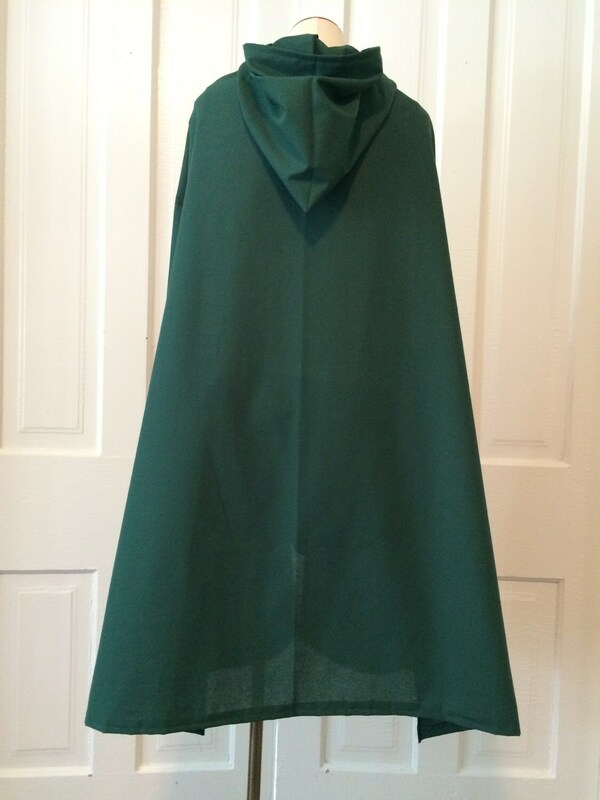 The approximate length is 40" from the shoulder to bottom hem. More colors as well as toddler and adult sizes are available. Optional Embroidered Trim - Add the perfect finishing touch (see next to last photo). 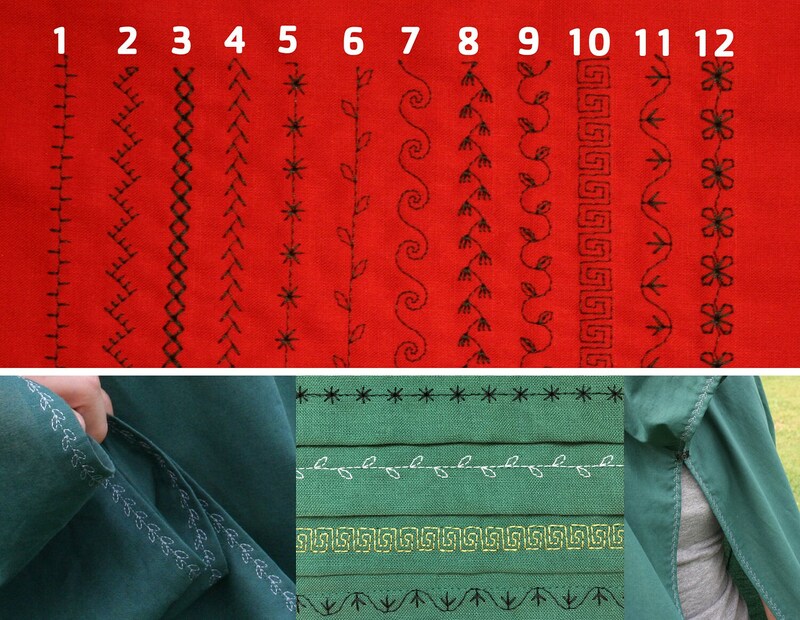 If choosing the embroidered trim, please specify by number the style of trim you would like and color thread. I have just about any color thread available. 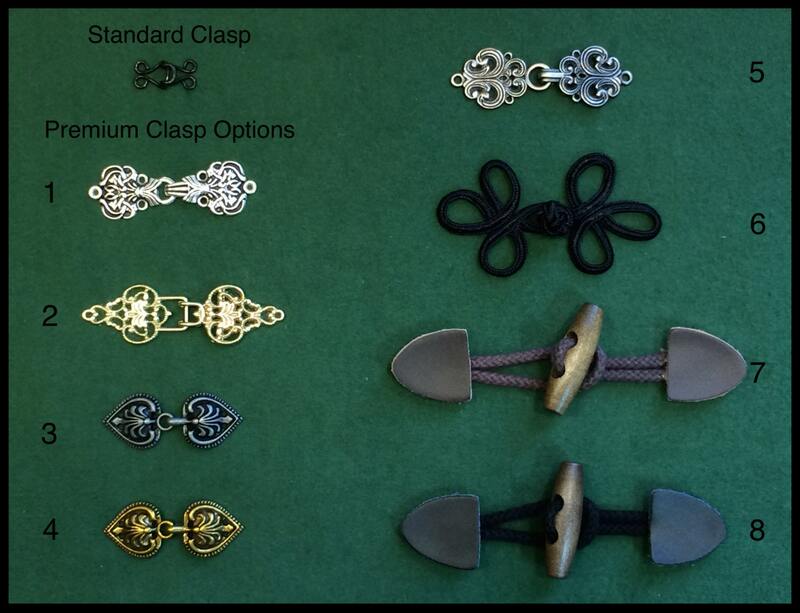 Optional Premium Clasp - Add your own style with a premium clasp (see last photo). If choosing this option, please specify by number which clasp you would like. 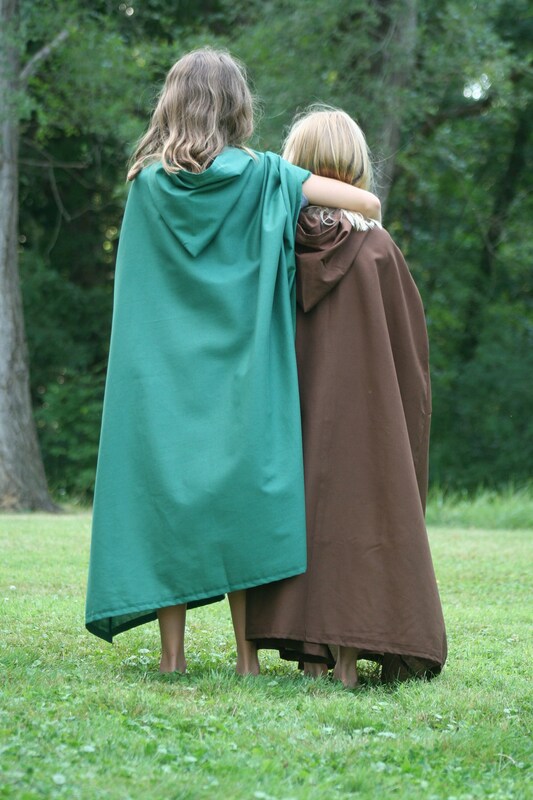 Perfect for Renaissance, Halloween, Super Hero's, Ranger's Apprentice or just for fun! Payment must be received before an item is shipped or before a custom order is started. 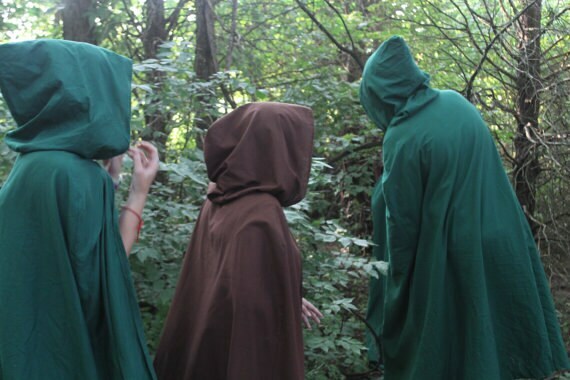 Processing times vary, but cloaks are typically ready to ship in 1-5 business days. Check individual listings for details. Buyers are responsible for any customs and import taxes that may apply. Also, I cannot be responsible for delays due to customs. Premium clasp and embroidered trim options: If either or both of these options are chosen, but the buyer fails to specify which option to use, I reserve the right to send the standard options, while refunding the difference. I will make every effort to get this information via Etsy messages and/or email, but if there is no response, the standard options will be used. The Basics - Generally, I only use your information to complete the transaction. The details are required to be GDPR-compliant. If you have any questions or concerns, you may contact me through Etsy messages. 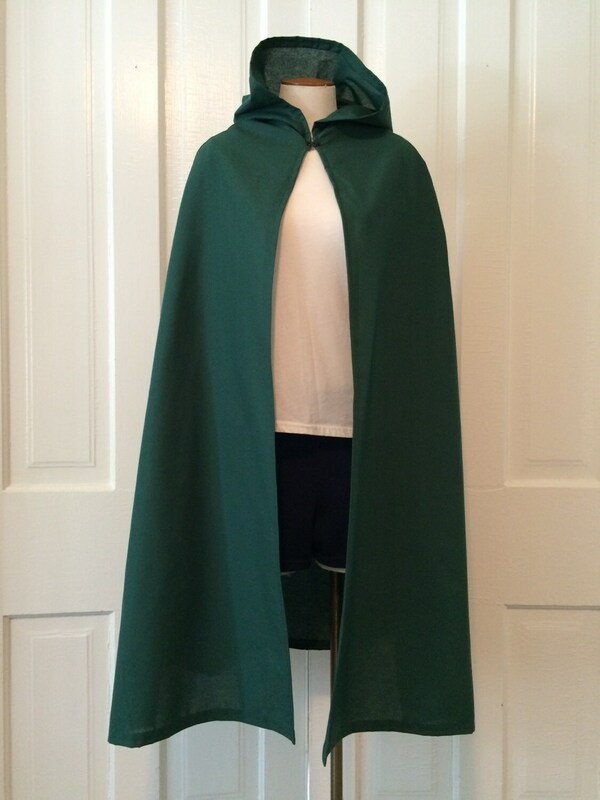 Just what my son wanted for his Robin Hood costume! Well-made, completed quickly and the seller was pleasant to work with. I bought this for my daughter for her halloween costume and she loves it. It seems well made and shipped & arrived quickly. Lindsay does it again! 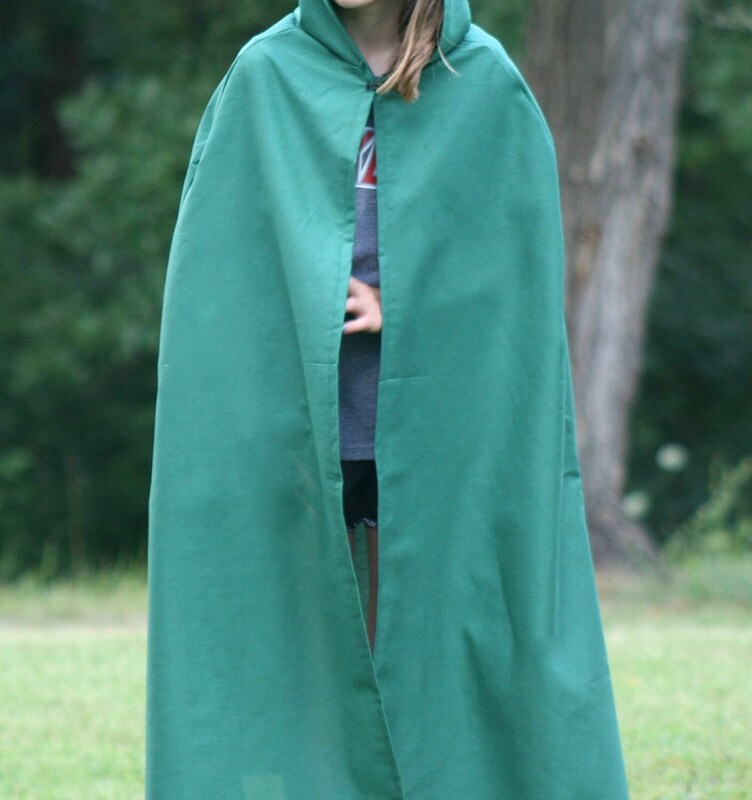 The order was shipped super fast and my daughter LOVES her new cloak. So soft, warm & beautifully made. We’ll be back for more for sure. Thank you! My son wants to be a Ranger's Apprentice for Halloween. He LOVES this cloak. It's thin, but perfect for Halloween.